Congratulations to our Client Budstraps for their feature on Skope Magazine! Say goodbye to distracting tangledÂ cords and earbuds that wonâ€™t stay put. Get fuss-free movement in your day-to-day world with Budstrapsâ€”the innovative new way to keep earbuds (and frustration) in place. 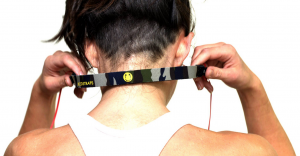 Budstraps is an amazing new tool which allows you to simply clip your earbuds around your neck and go. A lightweight neoprene strap that sits comfortably on the back of the neck, Budstraps are ideal for runners, bikers and drivers that need one ear open for optimum safety, but donâ€™t want the hassle of a dangling bud or tangled cord. Simply clip those favorite earbuds into the strap and instantly simplify any run, ride, walk,Â workoutÂ or gaming session. With Budstraps, youâ€™re free to clip, go and forget about those buds. Check them out at budstraps.com!